Just last week the government announced new legislation which provides a 12-month amnesty period for employers to self-correct prior super guarantee non-compliance without penalty. If you haven’t been paying your employees super (bad you! ), you get a 12 month period, starting 24 May 2018, to pay the shortfall without the ATO applying their normally hefty penalties. What period does the amnesty apply to? You will be able to use the amnesty for any unpaid super from 1 July 1992 (back in the dark ages when super guarantee was introduced) up until 31 March 2018. The unpaid amounts must be voluntarily disclosed to the ATO during the amnesty period (see below) and cannot be done after the commencement of an audit. Basically meaning; if you’re already in trouble, the amnesty won’t be available. You see, unpaid super is a huge problem! Not only for the thousands of every day Australian’s who are missing a fair chunk of their retirement savings through no fault of their own, but also for our government, who are going to have to foot the bill (through the aged pension) for an ageing population that doesn’t have enough savings to fund their own retirements. Normally when you catch up on late super payments you incur a $20 per employee, per quarter admin charge. During the amnesty, this won’t be charged. This is a huge kicker! 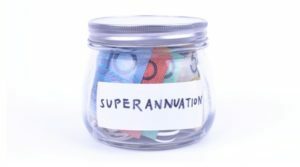 Normally when you pay your super late, you can be charged what is called a part 7 penalty – basically it’s a fine that can be charged at a maximum of 200% of the super you are back-paying. For example, if you’re late paying $50k, you’re penalty could be as much as $100k. This won’t be payable under the amnesty. Again, this is a big incentive to make full use of the amnesty. What will it cost you? Obviously, to make use of the amnesty you will need to pay the super that remains unpaid between 01 July 1992 and 31 March 2018. On these amounts, you will be charged the nominal interest, as well as any general interest charged by the ATO. These are charged whether you make use of the amnesty or not. What if you can’t pay by the 23rd of May 2019? All the ATO have said so far is failing to make use of the amnesty may result in “higher penalties” in the future. If you can’t pay the amount in full then payment plans are available. Firstly, wait until the legislation is actually passed. Hopefully that will be announced soon. Complete the SG Amnesty Fund Payment Form and submit it directly to the ATO through the business portal. If you can make full payment, the current guidance is to do so directly to your employee’s relevant super funds. If you can’t make the payment in full, make contact with the ATO and arrange a payment plan. If history tells us anything, when the ATO offers breathing room to businesses to correct prior mistakes, they lose all compassion once that time frame elapses. Given the penalties for unpaid super are already harsh, we wouldn’t recommend testing them following the 23rd of May 2019 deadline. If you have unpaid super, you’re going to have to deal with it at some point; you may as well save yourself some penalties along the way.